Caption: Lady Londonderry by John Tweed, 1909. 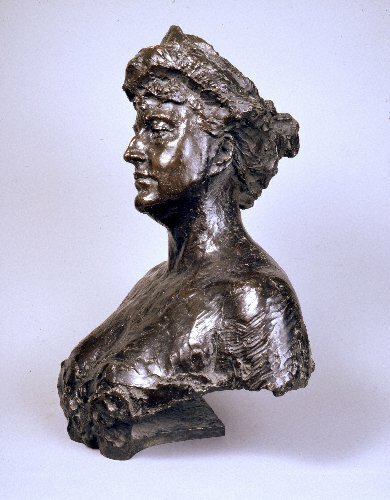 Bronze bust of Theresa, Lady Londonderry (1856-1919), wife of the 6th Marquess of Londonderry and leading Edwardian socialite. Tweed was a pupil and friend of Rodin and worked in a similar bold, naturalistic style. The marble version of this bust made his reputation when exhibited in 1909.